1/18 Scale Model by TRL. Scale 1/18. EXCELLENT - The item will have had very careful use, with only small imperfections. The Model Is In NEAR MINT Condition - Previously displayed. The Box Is In GOOD Condition - WORN. 1/18 Scale RESIN Model by BOS. Material RESIN. Scale 1/18. Ending Soon. New Arrivals. The RM Toys Team. Kind Regards. Our aim is to ensure no matter what the model, we will provide an excellent service experience. Material RESIN. Scale 1/18. FAIR - The item will have heavy signs of wear, showing major imperfections. New Arrivals. EXCELLENT - The item will have had very careful use, with only small imperfections. Scale 1/18. SPARES or REPAIR - The item will be in a poor condition. FAIR - The item will have heavy signs of wear, showing major imperfections. GOOD - The item will have had more use, showing obvious imperfections. 1/18 Scale Resin Model by LS Collectibles. Scale 1/18. GOOD - The item will have had more use, showing obvious imperfections. EXCELLENT - The item will have had very careful use, with only small imperfections. 1/18 Scale Model by OTTO. Scale 1/18. The MODEL is in MINT condition. The BOX is in MINT condition. GOOD - The item will have had more use, showing obvious imperfections. EXCELLENT - The item will have had very careful use, with only small imperfections. 1/18 Scale Model by BOS. Scale 1/18. Ending Soon. New Arrivals. The RM Toys Team. Kind Regards. Our aim is to ensure no matter what the model, we will provide an excellent service experience. GRADING CONDITIONS. 1/18 Scale Resin Model by PremiumX. Material Resin. Scale 1/18. 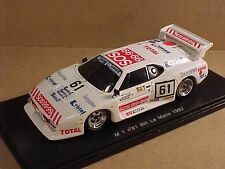 The MODEL is in the following condition - MINT - Includes Decals. The BOX is in the following condition - EXCELLENT - Slight wear. Ending Soon. 1/18 Scale Resin Model by GP Replicas. Material Resin. GOOD - The item will have had more use, showing obvious imperfections. Scale 1/18. Ending Soon. New Arrivals. The RM Toys Team. Kind Regards. 1/18 Scale RESIN Model by BOS. Material RESIN. Scale 1/18. GOOD - The item will have had more use, showing obvious imperfections. EXCELLENT - The item will have had very careful use, with only small imperfections. 1/18 Scale Resin Model by GP Replicas. Material Resin. Scale 1/18. Ending Soon. New Arrivals. The RM Toys Team. Kind Regards. Our aim is to ensure no matter what the model, we will provide an excellent service experience. 1/18 Scale Resin Model by Cult. Scale 1/18. The MODEL is in MINT Condition. EXCELLENT - The item will have had very careful use, with only small imperfections. GOOD - The item will have had more use, showing obvious imperfections. 1/18 Scale Resin Model by GT Spirit. Scale 1/18. SPARES or REPAIR - The item will be in a poor condition. FAIR - The item will have heavy signs of wear, showing major imperfections. The RM Toys Team. 1/18 Scale Model by OTTO. Scale 1/18. New Arrivals. The RM Toys Team. Kind Regards. Our aim is to ensure no matter what the model, we will provide an excellent service experience. GRADING CONDITIONS. 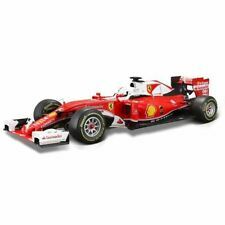 1/18 Scale Diecast Model by GT Autos. Material Diecast. Browse All Categories. Scale 1/18. The MODEL is in the following condition - MINT. The BOX is in the following condition - EXCELLENT - Slight wear. 1/18 Scale Resin Model by LS Collectibles. Scale 1/18. The MODEL is in MINT Condition. The BOX is in MINT Condition. Our aim is to ensure no matter what the model, we will provide an excellent service experience. 1/18 Scale Model by GT SPIRIT. Scale 1/18. Ending Soon. New Arrivals. The RM Toys Team. Kind Regards. Our aim is to ensure no matter what the model, we will provide an excellent service experience. GRADING CONDITIONS. 1/18 Scale Model by GT SPIRIT. Scale 1/18. EXCELLENT - The item will have had very careful use, with only small imperfections. Ending Soon. The RM Toys Team. Kind Regards. MINT - The item is in perfect condition. 1/18 Scale Model by GT SPIRIT. Scale 1/18. The RM Toys Team. Ending Soon. New Arrivals. EXCELLENT - The item will have had very careful use, with only small imperfections. Kind Regards. Our aim is to ensure no matter what the model, we will provide an excellent service experience. 1/18 Scale Model by BOS. Scale 1/18. The MODEL is in MINT condition. The BOX is in EXCELLENT condition - Wear and taped on rear. EXCELLENT - The item will have had very careful use, with only small imperfections. 1/18 Scale Diecast Model by Schuco. Scale 1/18. Model is in MINT condition. Box is in GOOD condition - Worn Scuffed. MINT - The item is in perfect condition. EXCELLENT - The item will have had very careful use, with only small imperfections. 1/18 Scale Resin Model by MCW. Scale 1/18. FAIR - The item will have heavy signs of wear, showing major imperfections. Ending Soon. New Arrivals. The RM Toys Team. Kind Regards. MINT - The item is in perfect condition. 1/18 Scale Model by OTTO. Scale 1/18. The MODEL is in MINT Condition. The BOX is in EXCELLENT Condition. EXCELLENT - The item will have had very careful use, with only small imperfections. GOOD - The item will have had more use, showing obvious imperfections. 1/18 Scale Model by Tarmac. Scale 1/18. Ending Soon. New Arrivals. The RM Toys Team. Kind Regards. Our aim is to ensure no matter what the model, we will provide an excellent service experience. GRADING CONDITIONS.